Hooray for another week of Thrift Score Thursday, and thank you to the team for inviting me back! This time we're celebrating Halloween and all of the gems you can find at the thrift store to enhance this most delightful spooky holiday. I love hitting up the thrift store every year in search of pieces for the perfect costume. I have always been the Mom who assembles costumes from random items in my closet, or hobbles together something from the thrift store. I have never been the Mom who lovingly sews each costume from scratch, although that would be awesome. With little patience and no real sewing skills, I'm more handy with the glue gun. Sorry kids. 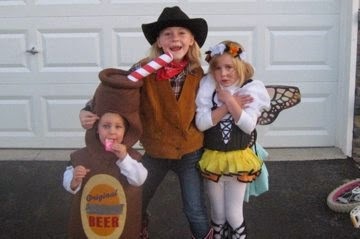 So here is a fun sample of my kids' thrifty halloween costumes over the years. The entire Halloween costume wrap-up post was written last year. Disclaimer: these images were pre-blog. Therefore, I was only concerned with capturing the moment rather than focusing on lighting, angle, etc. I didn't even edit out the time stamp. 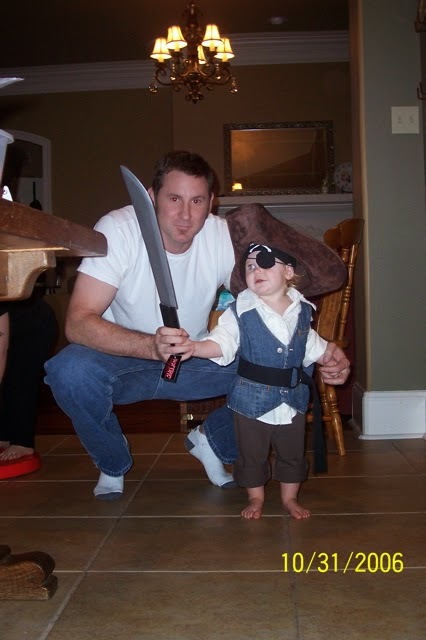 We dressed Ella as a pirate in 2006. I know because time stamp. The shirt, vest, and pants came from big sister's closet, and the belt was mine. The hat came from the thrift store. I made the eye patch and the skull & cross bones bandana. Every time I see this picture I think of The Puffy Shirt and laugh. Side note: I miss Seinfeld. 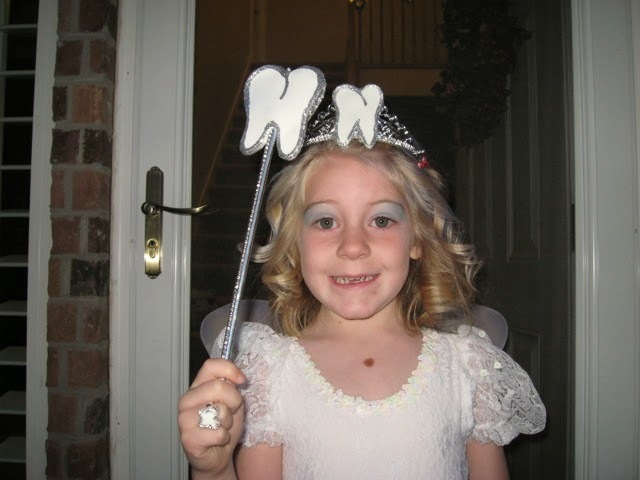 In order to dress Natalie as the tooth fairy, I found a christening gown at the thrift store, and added white tights and a crown. I cut the teeth from white sheets of craft foam, and glued them to the crown and wand, adding silver glitter glue to the edges. Man, I was so crafty in those days. Oh my little guy...dressed as Alan Jackson. Jeans, belt, and shirt from the thrift store. This is funny, because everyone who knows me, knows how I feel about country music. Not good. Hubby was making a statement this year. A few years later, Natalie dressed as a cowgirl. I found the hat, leather vest, add a plaid shirt at a thrift store. Add a kerchief and boots, and you have yourself a bonafide cow girl. 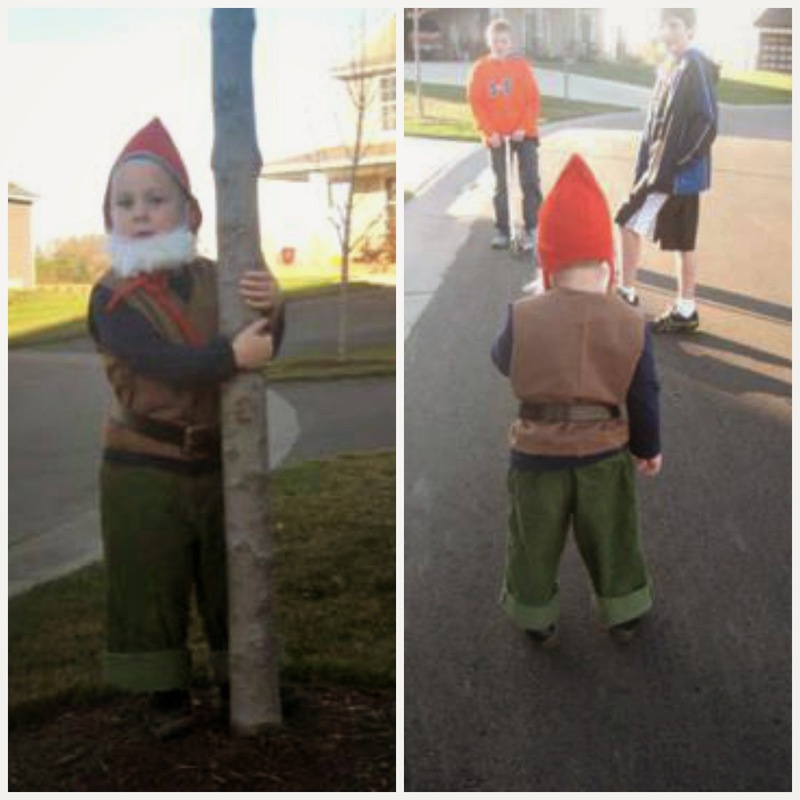 And my all-time favorite thrift store costume, my little gnome. I found the pants, belt, vest, and shoes at a thrift store. The shirt was his, and I made the hat. The beard was made from a scrap of white fluffy fabric with straps to go over the ears. You can get really creative with random objects too. In the most recent installment of Swap It like It's Hot, I was the lucky recipient of a pair of bed springs. I used those as the creative inspiration for my Halloween mantle. We would love to see your thrifty Halloween treasures. 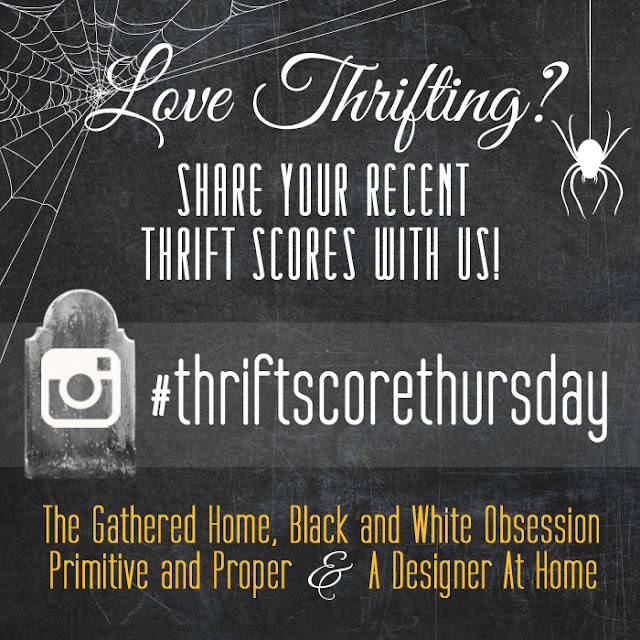 As always, please use the tag #thriftscorethursday to share with us! I'm in excellent company. Visit these thrifty geniuses to see the Halloween treasures they're sharing. YES! the gnome is amazing! The costumes are so adorable! The gnome is really really amazing (I have a soft spot for gnomes! ), but these will all be such fun memories for your kids growing up! And the bottle of beer cracks me up! 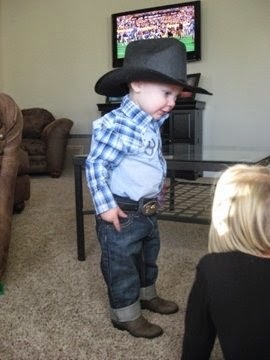 Tiny cowboy wins it for me. You are so innovative. I would never think of these as costume ideas. I love them! All of the costumes are cute but I about died when I saw the gnome! Adorable!! 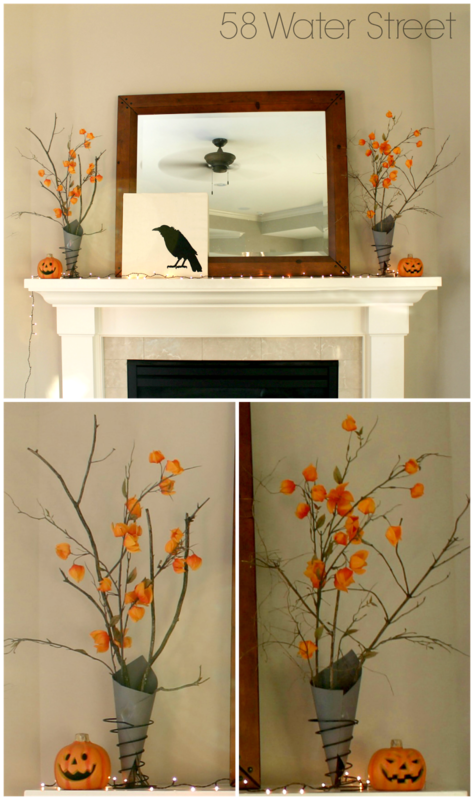 I still think repurposing the springs as Halloween/Fall vases was incredibly clever. Who needs a sewing machine when you can bust out the glue gun and achieve the same results?! Especially when the kids are only wearing them one or two times? !